Many shopping malls in Calgary are found just across C-Train stations or just a few walks away. Still for shopaholics or anyone who wants to know more what the Stampede City has to offer, CrossIron Mills cannot be missed. And here’s my story of a summer adventure on how I go to CrossIron Mills from Calgary using public transportation (bus, taxi, and on foot) with a friend. 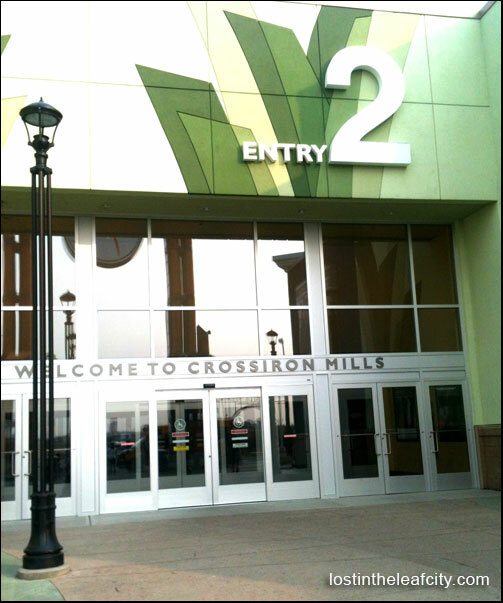 There are two ways on how you can go to CrossIron Mills through public transportation. If you are driving, the best way to use is Google Map or other app that maybe you may want to share with us. This same question bothers me so much that I have to figure it out myself with the aid of an equally adventurous friend. I’ll be as specific and detailed as possible and straightforward; otherwise, this blog post can be lengthy. The following is an outline (in order) based on my journey through the public transportation particularly the Calgary Transit. From July 1 to September 5, you can avoid the trouble (like what I did) of commuting through CrossIron Mills Shopping Shuttle. For only $15.00 you can avail a round trip. The two pick up locations are Red Arrow Downtown Depot and Calgary International Airport. Another way to go to CrossIron Mills for $8.00 (from McKnight-Westwinds LRT) is through the Airdrie Transit ICE Bus. Let’s just assume you find your way in the City Hall Station in downtown Calgary. From here we took a C-Train (Saddletowne) heading to Mcknight Westwind. Right off the track we saw a line of taxis. Honestly, this is one of the reasons why traveling with a friend is such a wise decision. You can split cab fare expenses including the tip. Depending on the number of passengers the charge may go higher. Note: There is no bus going to the mall based on the taxi driver that I’ve asked. It was Sunday and there’s no traffic or fender bender. We were able to make it in 15 minutes or more from the station. While waiting to embark in a shopping galore of your life try to enjoy the view, the vastness of yellow fields (depending on the season). Who said you need a car to go out of town. Though I already passed the GDL Class 7 exam, I’m still trying to muster courage to drive in highway and so should anyone who thinks of sitting in the passenger seat with me in charge of the steering wheel. Flex your hamstring, ankle, and budget if you may. You’ll survive the long walks but be wary of swiping those credit cards. It’s hard not to buy anything when the mall boasts 200 stores. I would suggest you to get a directory in the guest information at entry 2. The directory is a great guide you can use to save time. Unlike us, we just walk aimlessly; we went in and out of stores. Playing things by ear is quite healthy from time to time. No pressure. No Plans. I’ve been here twice and I noticed sales are prevalent and stores are bigger which means more choices to feast my eyes on while keeping my wallet inside the bag. I’ve had a great deal in Gap as a Christmas gift for a friend and for myself. The food court is filled with stores you cannot find in other shopping malls in Calgary. Take a break. Grab some lunch. You need strength for such an ordeal: spending cash and accumulating more credit. In Entry 2 there’s a phone on which you can use to request a taxi. This is one thing we just thought of at the end of the day. We waited. More photos. More waiting. After 29 minutes another call was made because there was no sign of taxi coming in our way. Spare yourself from this experience. Make an appointment for a cab to pick you up in a specific time if you don’t want to end your day in a bad mood waiting for nothing. The difference in fare fee is not that much from the first taxi. And don’t forget to give a tip, again. That just makes everyone happy, isn’t it? The driver will continue loving his job thanking the growing numbers of shopaholic. This was how my new shopping experience ended. Are ready to embark on a journey of your own to CrossIron Mills? A different route or transportation?